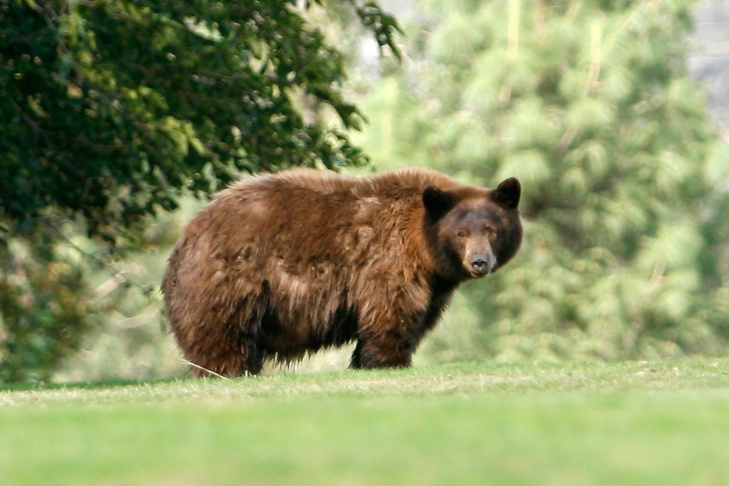 A California black bear roams in Three Rivers, Calif. The gate at Millard Campground in the Angeles National Forest. 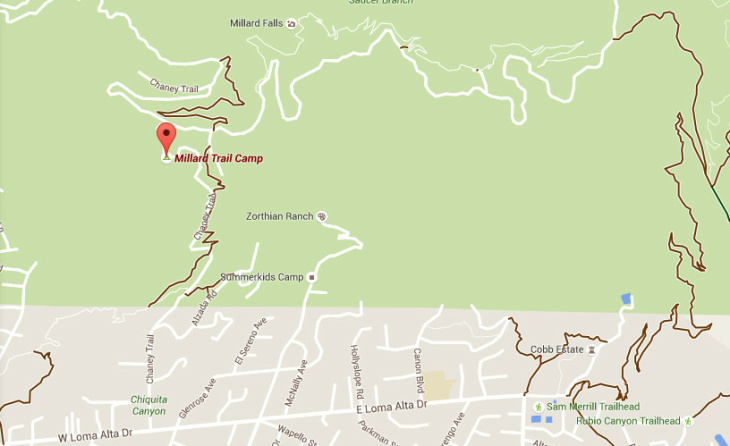 A map of the Millard Campground near Altadena in the Angeles National Forest. 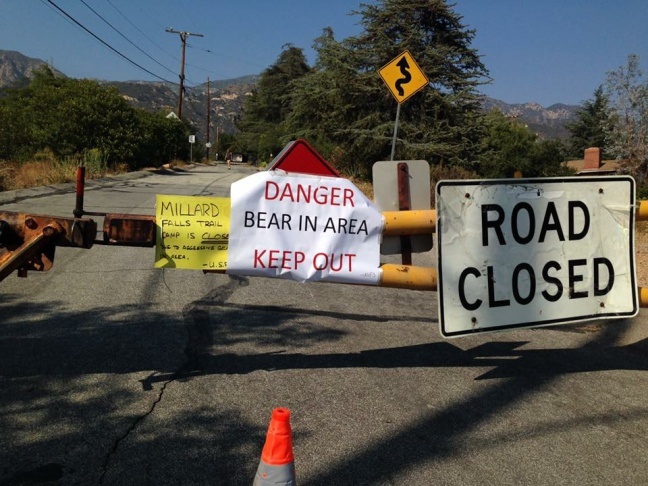 A man was attacked by a bear while staying at the Millard Campground above Altadena this weekend. "Bear attacks, in California especially, are extremely rare," Andrew Hughan, a public information officer with the California Department of Fish and Wildlife, tells KPCC. "We get a lot of sightings. We got a lot of bears in campgrounds, in houses, things like that. But to actually attack a person is very unusual." The man who was attacked says he didn't have food in the tent, Hughan said, but whether he did or not is still being investigated. Hughan says the attack occurred on Friday night. According to a statement from the Altadena Sheriff's Station, the man was in his tent, looking at his iPad when the bear approached. "He went to swipe [the tent] but... his claws rip right through the [tent] and unfortunately into this guy's head," Hughan says. He was transported to a local hospital where he received several dozen stitches but is in "OK condition," according to Hughan. Two campers saw an approximately 120-pound bear running away from the area. The bear is brown in color, although its species is the black bear. Why would a bear attack a human? 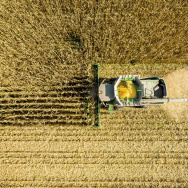 "Almost always it's because of food," Hughan says. "Bears have very sensitive senses of smell. If you have any kind of food in your tent, this can happen." Fish and Wildlife worked with the United States Forest Service to close Millard Campground, which is located in the Angeles National Forest. It will remain closed until Tuesday. In the meantime, wildlife officers are still looking for the bear. If it's found and positively identified — Hughan says this can be done with "a quick DNA test" — it will be captured and euthanized, under department policy and state law. "We just can't have a public safety bear that attacked a person. It's just not smart. So the bear unfortunately needs to be euthanized," Hughan says. Correction: An earlier version of this story mistakenly said that the camper had food in his tent, but it is unclear if that was the case. 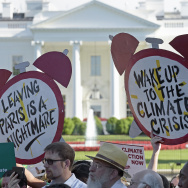 It also incorrectly stated which department was responsible for closing the park. KPCC regrets the errors.